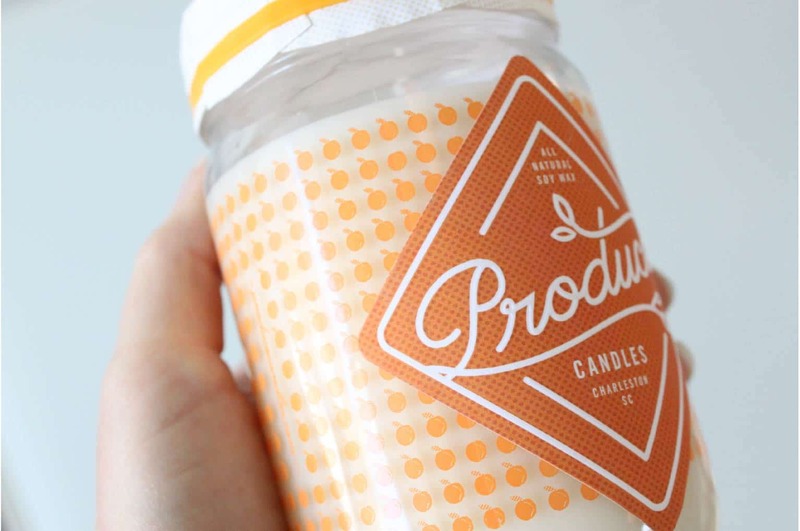 Produce Candles « Stitch Design Co.
We’re excited to share this new packaging for Produce Candles. 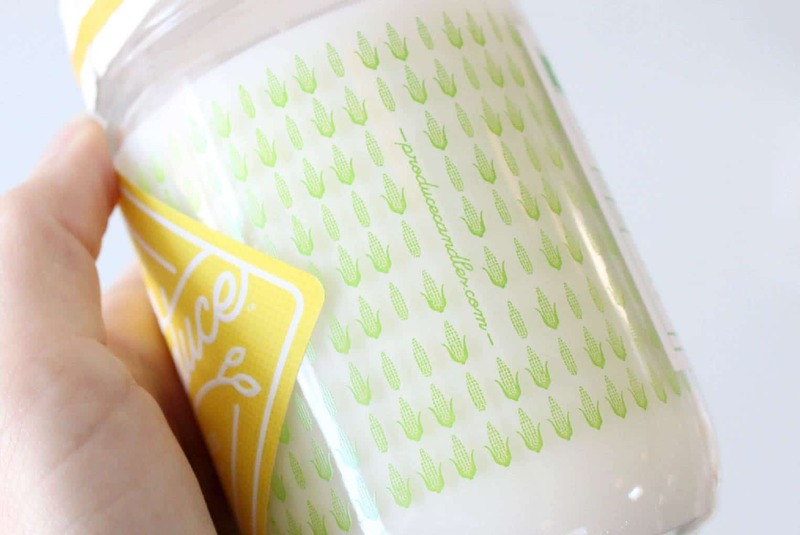 Sweet, earthy, spicy, crisp… each element is seasonally represented in these hand-cultivated candles made with natural soy wax and premium cotton wicks. 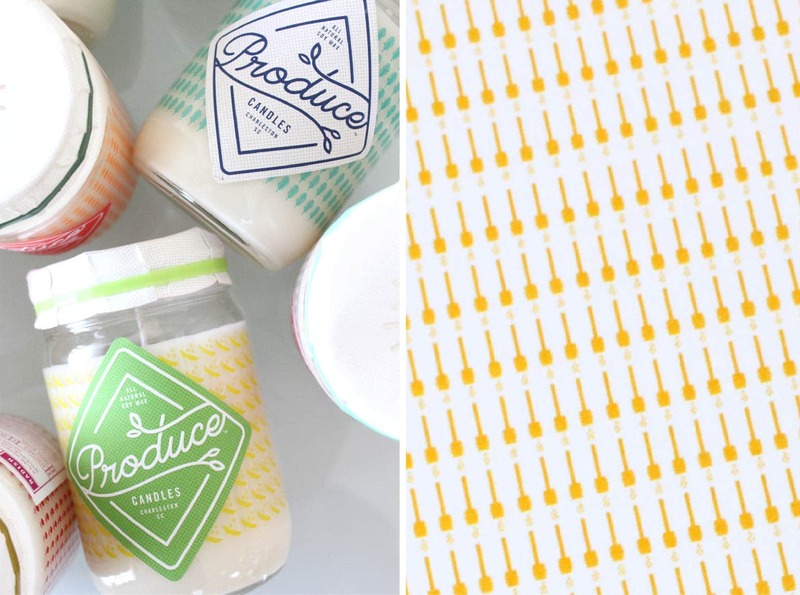 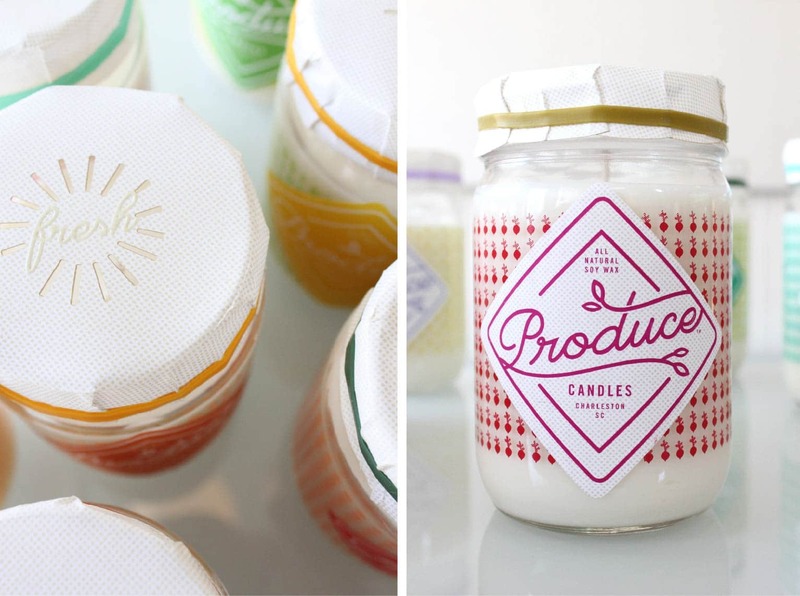 The candles are housed in silkscreened canning jars with patterns representing each scent. 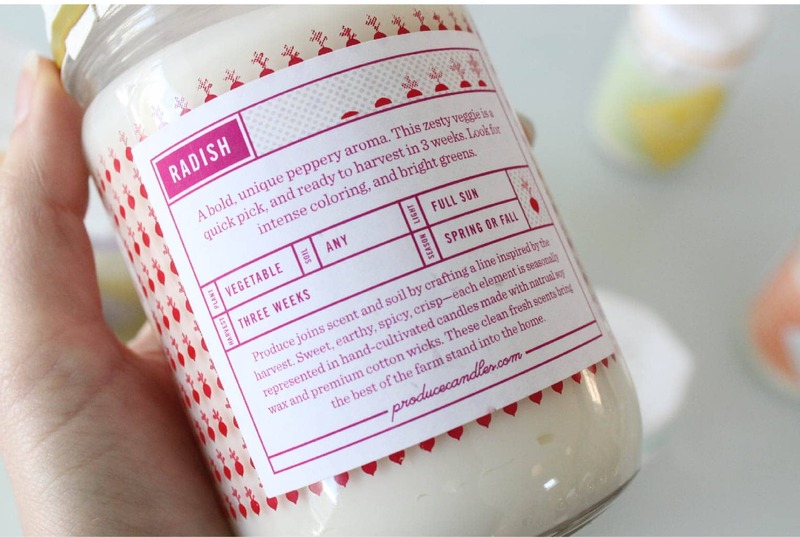 Applied on top of each jar is a front and back label printed two color and then embossed for that extra touch. 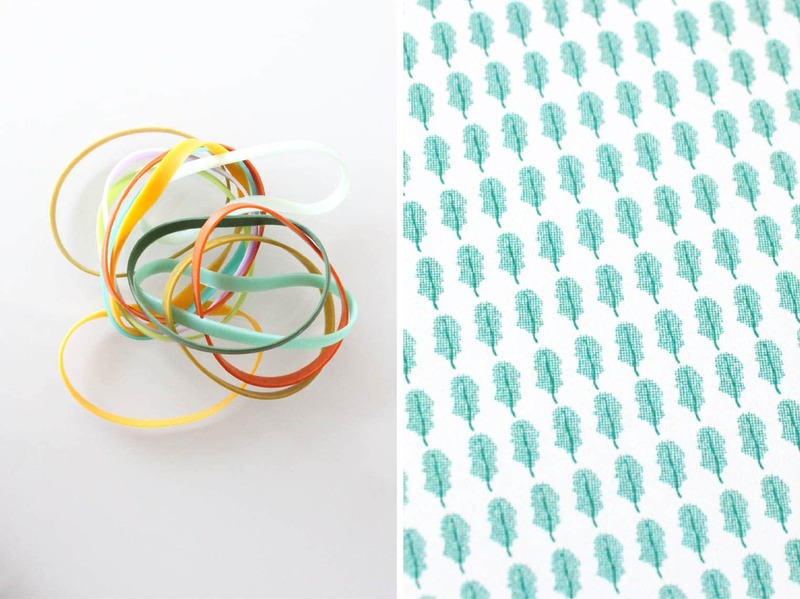 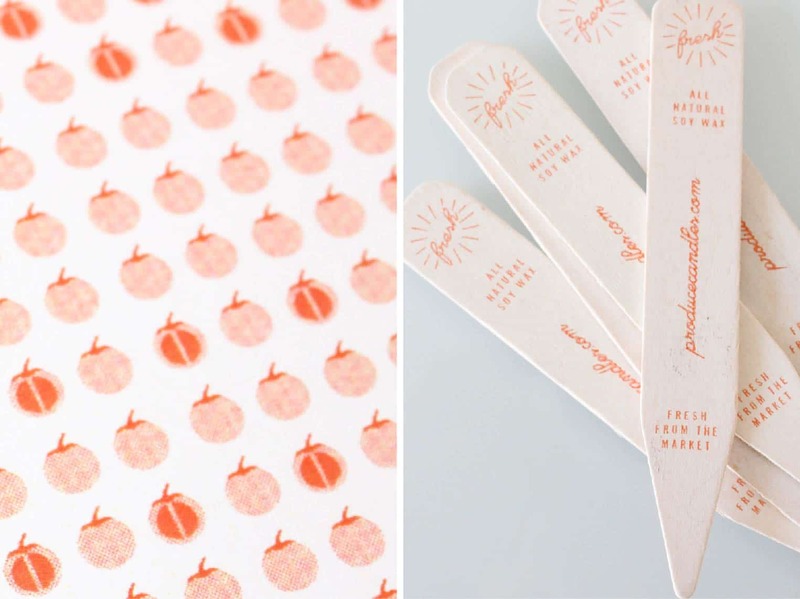 The toppers are printed, laser die cut and then embossed. 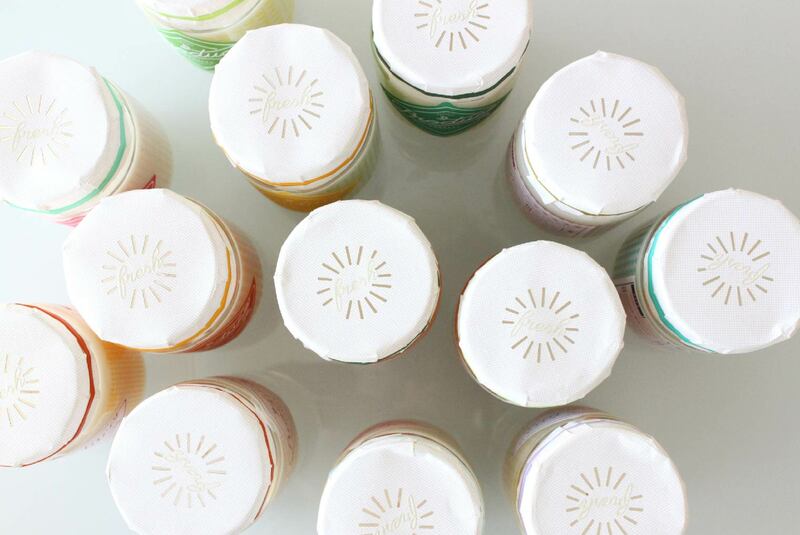 Each topper is secured with a custom colored rubber band (similar to those you see everyday in the produce section and farmers market). 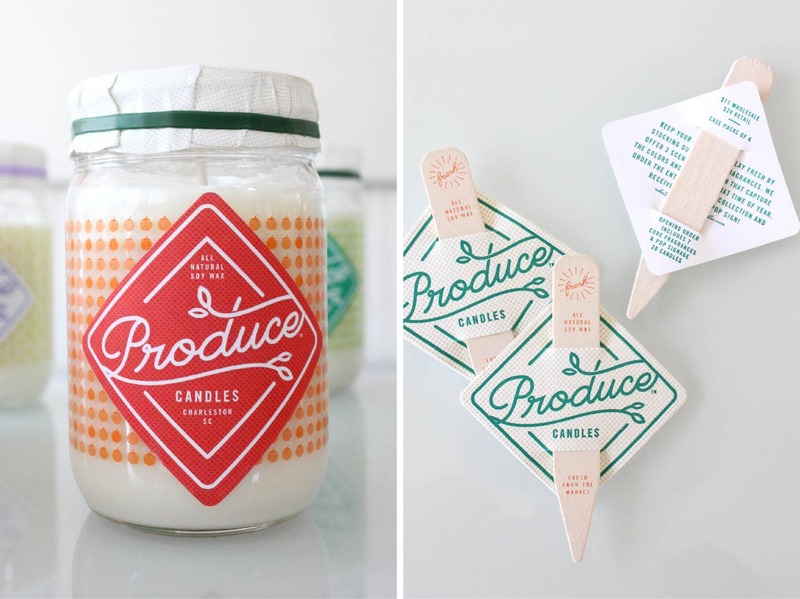 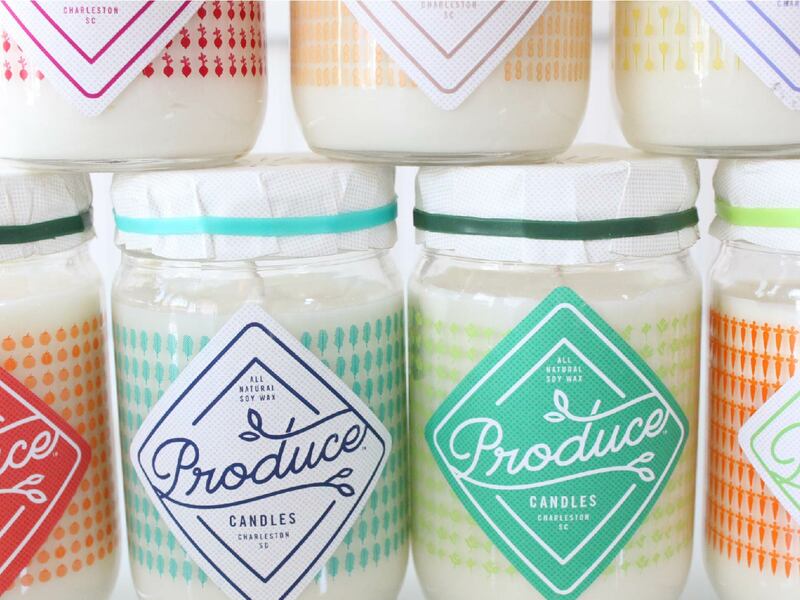 These clean, fresh candles bring the best of the farm stand into the home. 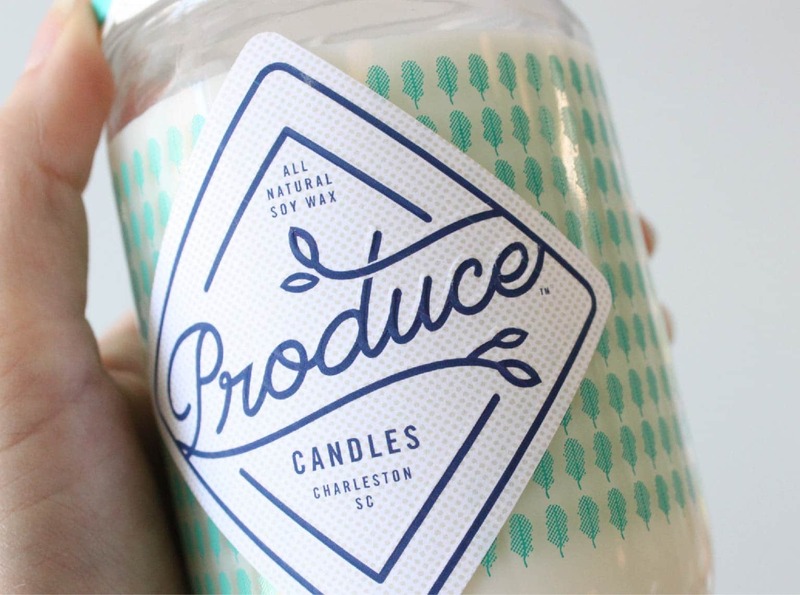 1 Comment > Tags: Packaging, Packaging Design, Produce, Produce Candles, Stitch Design Co.